UH Hilo pharmacy students and faculty who are also Army Reserve Soldiers are in Kea‘au this week as part of a program designed to improve soldier readiness while serving communities. Aron Brown, a pharmacy student at UH Hilo, reviews a prescription during Tropic Care 2018 in Kea‘au, Hawai‘i Island, June 23, 2018. 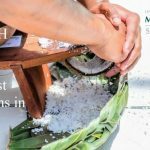 Tropic Care 2018 is an Innovative Readiness Training event that runs June 18-28 designed to increase soldier readiness while also serving the community of Kea‘au and surrounding areas. U.S. Army Reserve Photo by Sgt. Stephanie Ramirez. 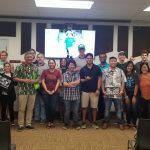 Several faculty and students from the University of Hawai‘i at Hilo College of Pharmacy who also serve in the United States Army Reserve are in Kea‘au participating in a two-week program where the community benefits from the health care skills of soldiers. The Innovative Readiness Training program benefits hundreds of communities across the country where skilled soldiers provide medical, dental and optometry care. 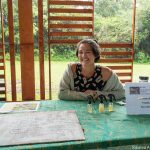 The mission in Kea‘au, called Tropic Care 2018, runs June 18-28. 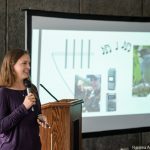 Chad Kawakami on Tropic Care 2018 mission in Kea‘au this week. Army Reserve Soldiers with the 1984th Army Hospital based in Honolulu spend their two-week annual training providing basic medical services to underserved populations in the Kea‘au region of Hawai‘i Island. Photo from US Department of Defense video. 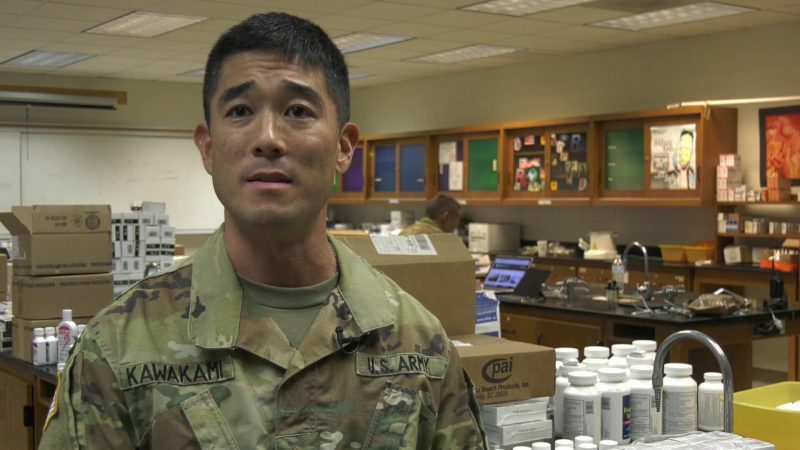 “I’m one of the faculty members at the College of Pharmacy at the University of Hawai‘i at Hilo, and this is the one opportunity that I can have the students see what we do in the military, in a real-life mission,” Kawakami says. 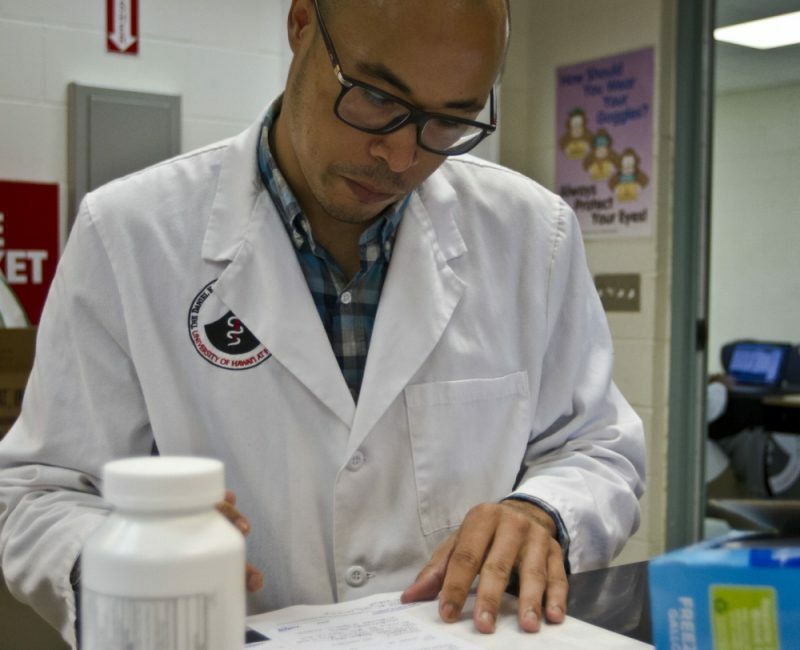 By integrating UH Hilo pharmacy students into the Tropic Care program, Kawakami increases the capacity of the pharmacy operation, gives the students opportunities for hands-on experience, and creates a bridge between the civilian population and the soldiers. “The students and the lay public in general have a perception of what it’s like being in the army, and this is an opportunity for them to see it in real life,” Kawakami says. 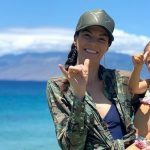 UH Hilo pharmacy student Aron Brown, who is participating in Tropic Care, says he is grateful Kawakami is willing to share his military experience with the students.